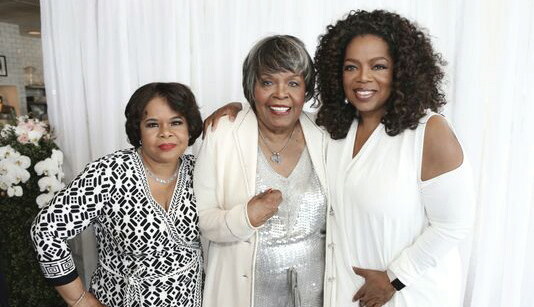 Vernita Lee (center) is pictured with her daughters Oprah Winfrey and Patricia Amanda Faye Lee on her 80th birthday in 2015. Friends, family and local relatives are mourning the passing of Vernita Lee — the mother of Oprah Winfrey. She was 83 years old. Oprah’s niece told TODAY’S TMJ4’s Carole Meekins that Lee passed away on Thanksgiving. Lee was known for her kindness, warmth and faith. She will be deeply missed by loved ones. A Winfrey spokeswoman on Monday, November 26, 2018 issued a statement saying Lee died at her Milwaukee home on Nov. 22. The spokeswoman said private funeral services were held. No other details were provided. Lee lived on Prospect Avenue in Milwaukee for several years. Lee was born on May 2, 1935 and worked as a housekeeper throughout her life. She is survived by Winfrey and daughter Patricia Amanda Faye Lee, who she gave up for adoption at birth and reconnected with later in life. Lee also had two other children — son Jeffrey Lee, who died in 1989 and daughter Patricia Lee Lloyd, who died in 2003.